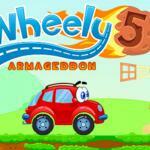 Wheely - Problem Solving Adventure for Kids - ABCya3! 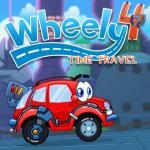 Wheely is an awesome puzzle game for all ages at http://ABCya3.net. Push buttons, flip switches and crank cranks to help Wheely get to the end of each level. 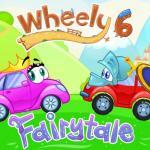 Wheely is one of the most interesting and attractive puzzle games for all ages at ABCya games online. 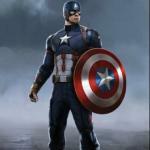 In this game, you will have to deal with many difficult missions to complete each level. With context in a cramped city, your biggest mission is to control your car wisely, solve all puzzles, and pass through dangerous obstacles to reach the destination safely. Therefore, keep your eyes to observe carefully, find every clue, and create a perfect road for your car. Especially, you should pay attention to some special buttons that will help you unlock the puzzles in the game. 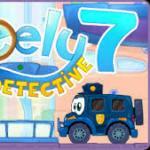 With eye-catching graphics and great music, I believe that this exciting puzzle game won’t make you feel disappointed! 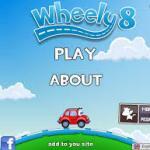 Play game Wheely for free online ABCya. 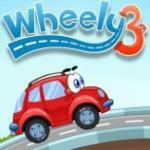 Besides, if you want to play more with some related games, don’t forget to explore Wheely 2 & Wheely 3. Wheel is an awesome puzzle game that is suitable for all ages at ABCya Games. To overcome level 1 of this exciting puzzle game, all you need is to follow the instructions on the screen. Unfortunately, your car is stuck on high and your biggest mission is to help it move to the ground. Therefore, you only need to click on the red car to start moving to a circle. Then, you will press continuously on the red button and rotate it until your car runs down to the ground. It's simple, the level 1 is over. Have a great time! 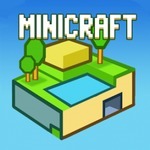 After passing level 1, level 2 will be opened with more challenges in the game. With context on moving cars, the red car is finding every way to move down the road. 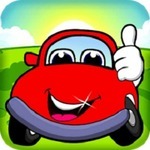 To implement this mission, keep your mind to observe carefully and control the red car wisely. First, you will keep a red button and drag it to the right of the screen to push your car up. Second, you have to click continuously on a red button on the next truck to help your car go from one truck to another. The last one, click on your car to start going down to the road. Have fun at ABCya Wheely! The difficulty level of level 3 has been increased dramatically. Specifically, the laser has appeared and destroyed your car if passing through. So, you should be more careful to deal with some difficult puzzles in the game. 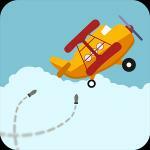 To overcome this level, you will have to rotate a red button to release a box that will cover your car on the ground. Then, you only need to push the box to pass through the lasers on the way. Note that, you have to move quickly because the lasers will rotate constantly to many sides. Click on a spring to push your car up and press a red button at the same time to help it move to the destination. Level 3 is finished at ABCya free! 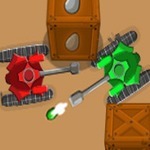 In this level, keep your eyes to observe carefully because many deadly traps are waiting for you at Abcya game online. Here, you will have to use a control panel to help your car overcome the dangerous obstacles. Next, your mission is to release a block and destroy a car, which is trying to push your car down the deadly traps on the ground. Note that, keep your hand to control your car wisely to avoid being destroyed on the way. It sounds very interesting, right? Let’s play! Great! In this level 5, you are free to choose the color of car and wheels as your favorite and styles. You can choose some colors such as red, green, blue, white, black, orange and pink as well as some types of wheels. Then, you will continue to choose the glass color and wait until the new car is completed in a perfect way. Tadaaa! Your dream car has appeared with bright colors and attractive graphics. Haha! This level is very simple and funny, right??? What are you waiting for? Enjoy it right now at ABcya! After owning your dream car, you will continue to enter the level 6 with many levels of emotion in life. Keep your mind to move wisely because tons of dangerous obstacles are everywhere on the way. To pass through this mission, you have to rotate a bar until a red button appears. Click on it to remove barriers and speed up to pass through a curve segment in the game. Next, you need to control a spring to help your car turn around, ring the bell to call a ship and move across the river. Don’t hesitate anymore! 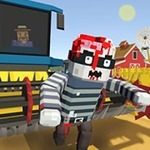 Play online and download for free at Abcya Kids.